I am not setting a limit on screen time! Are you? Lately I have noticed my children on their iPads a lot more. Sophia received her own iPad for her 5th birthday in October and we thought we may have wasted our money as she practically never went on it at all. 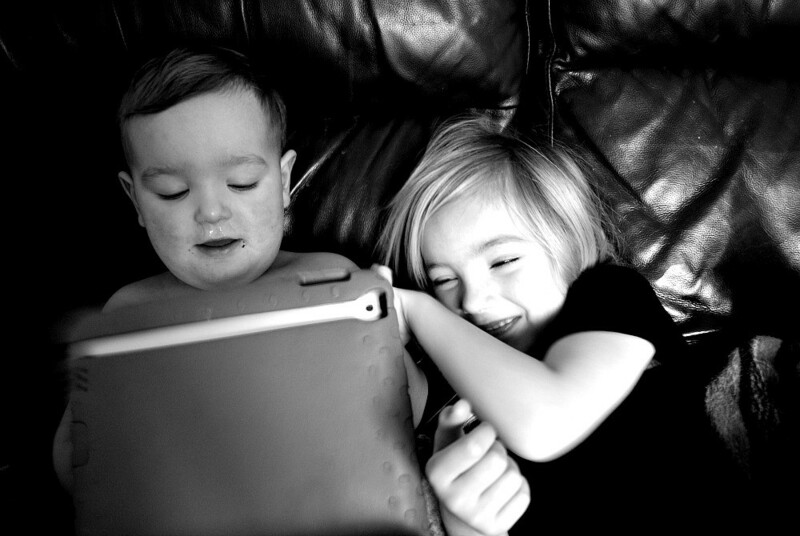 But sometime after christmas both have been on their iPads a lot more. I have noticed it but I am not worried. I grew up when social media was just evolving, yes I had a Bebo account and used MSN messenger! Wow that seems like decades ago! It was infact just over 10 years ago. I have always loved going on the computer, watching youtube video’s, and playing The Sims for as long as I can remember. I loved spending my time on the family computer and did so most evenings when I got the chance. My mum did hassle me to get off on occasion but she was not too strict at all. I don’t think I gave her much choice either. But thinking back I learnt myself what my limits are, when I was tired or ‘bored’ or wanted a break from ‘screen time’ I would simply log off. What I am saying is that by my mum not setting specific and rigid limits on the family computer I developed my own limits as to when to have a break. I also think the more you tell your children ‘No, No, No’ the more they are going to want to do something the more and they might even sneak behind your back. I also look at it from their point of view, children are learning everyday they are like sponges and I feel as a mother it is paramount they become familiar with the internet and technology. It is such a huge part of our society and evolution today, I feel it would be hindering their individual growth if I didn’t allow them or help them have access to the internet world. I remember when I first started playing The Sims, it must have been around when I was 13. I was completely addicted and loved going on it every spare moment I had. I even used to think about it when I was at school! Well I am 26 now and haven’t played The Sims now since I was about 16. That just shows that the internet and technology is not going to hinder you in anyway or prevent your development. In fact it will do the total opposite. It will allow your child to make their own decisions. It will help them to rely on their own thoughts and make their own mind up in different situations. I see this as a great quality to have and something paramount to their developing minds and learning to do things for themselves. 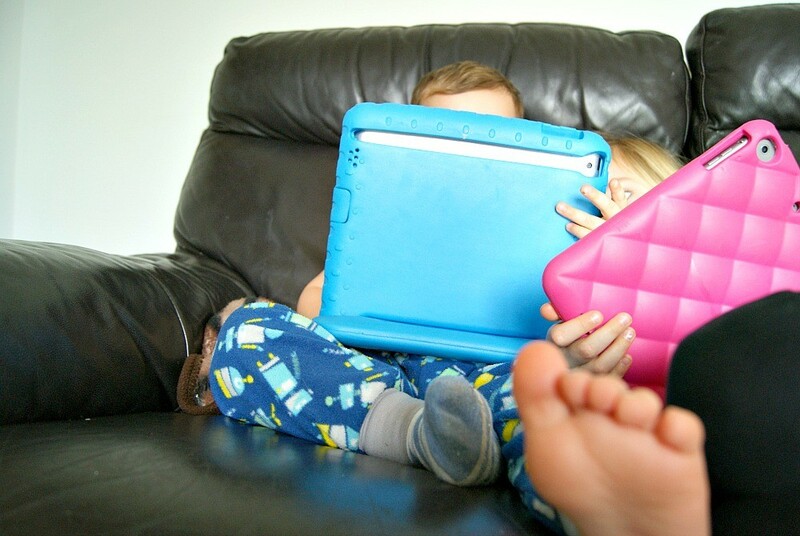 Instead of restricting my children’s screen time I try to teach them balance. I do this by talking to them about the internet, I ask them what they love about it and what they might not like. I talk to them about the possibilities. 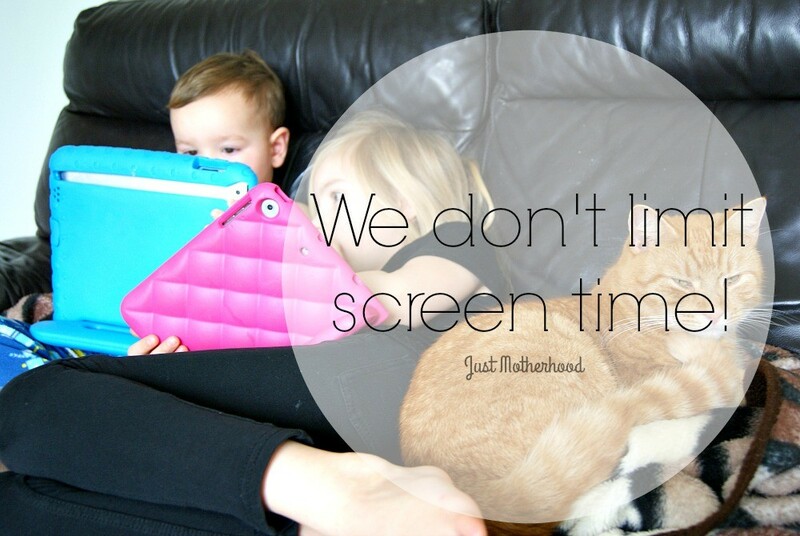 If you feel that your children have too much screen time then it is most definitely something to address as a family. Sit down and talk and come to an agreement that works for everyone in the family. After all that is what family is all about. You are a team, and to make it a good team everyone needs to be happy. I also think that as an adult/parent we set an example. I use my computer quite a lot and my phone. So I am fully aware of the example I set. I have set times mostly when the children are asleep that I schedule posts and work on my social media. I also do so when the children are busy playing and I can grab some time to myself. I do however make sure I have periods throughout the day where my full attention is on the children, by that I mean my computer is off, my phone is out of sight and not in my hand and they have my full concentration. I definitely believe in leading by example. I think this is more powerful then having an authority over your children whereby you create rigid routines and limits. I also, depending on what we are doing for the day make a conscious effort to leave my phone in my pocket. You see there is no need for an authoritative ‘Do as I say’ because as a family you come up with a routine that works for you. In life you have to do what you enjoy or how will you ever be happy? Thats what I say. When my children are not on their iPads, they live a very exciting and inspiring life, we do all the normal things you expect a family to do, we bake, do crafts, ride bikes, scooter, visit great places, make adventures, play mums and dads, get the lego out, read books, and make lots of noise. I just think that in a generation where technology has evolved so vastly it is not only okay for your children to have ‘screen time’ it is actually beneficial. We worry far too much and forget to focus on the really great things life offers. Yes being in nature and hugging trees is very important and paramount to our health but tapping into the internet world too has great benefits. (I am a blogger so I am biased)! I know that once summer comes round here in the UK my children’s iPads will probably be full of dust and cobwebs. I look forward to that! But I am just as happy as we are now, letting them go on their iPads when they want to and being flexible with their needs and wants as well as trying to help them balance the amount of ‘screen time’ they have. Life is all about balance after all, and us adults/parents figured that out okay by ourselves (or at least we try!). Previous Post On Evolving and Being Happy NOW! I don’t limit screen time and he’s only six months. Yes! I let him watch tv, a lot of people are horrified about this. To be honest, I don’t see the issue. It’s all about balance. At the moment our balance is about me actually being able to make a coffee or do a bit of work! Ha ha. Really interesting to see a different perspective. (I’m 27, my daughter is two in a couple of weeks.) we make a conscious effort to keep screen time to a minimum, she doesn’t have an iPad and we really try to only let her play on our’s or our phones once or twice a day for only 5-10 minutes. That being said, I think every child is different and exactly as you said, as a parent, you need to assess what’s right for your kids. I too loved Sims. I would play it for literally hours on a Saturday and my mom would eventually come up and say, OK, enough, give your eyes a rest. Some kids will just sit there for an entire day staring at a screen. But if you have a child with the personality to self regulate when they get to an age / you teach them about self regulation, perhaps you’re right. Maybe we’re actually doing our daughter a disservice. Definitely given me something to think about. We go out and have fun, we do arts and crafts and clubs, we have friends over and go to theirs so the screens not alway on but when it is its not limited. Ah the days of MSN messenger and being kicked off the dial up for somebody to use the phone! Haha! Feel old now…. I try to limit screen time but we are in a century now where it’s all about technology. The weather doesn’t exactly make it easier trying to limit it. When Matthew was a baby I limited it to 1 hours a day. Didn’t last long. My boy is 2.5 year old..he’s been on his tab or tv a lot lately..what I notice is when I try to restrict..He becomes adamant..then he too have seen me and his dad use a lot of mobile and computer..so I couldn’t blame him and he’s been learning a lot through the nursery rhymes and other shows on YouTube and tv..so its not a bad thing after all..whenever I restrict now I make sure he has something more interesting to do..We both play together or go on a walk..